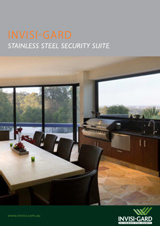 Burns for Blinds manufactures all styles of security doors and screens for the South Australian reseller market. With state of the art mitre saws and guillotines the Burns for Blinds factory produces high quality products at very competitive prices. With unmatched customer support and fast turnaround times make Burns for Blinds your preffered manufacturer for security doors and screens. Call us on 8131 3333, complete the enquiry form below, or come visit us today for an in-depth look at how we can grow your security product department.